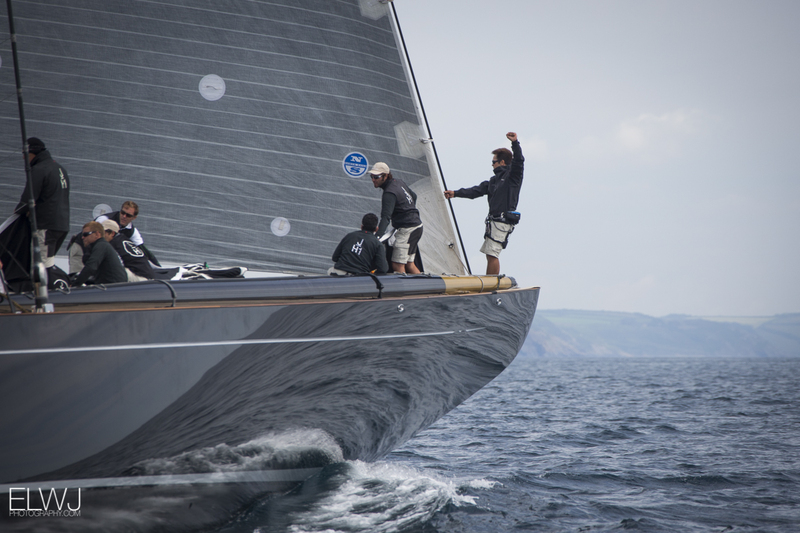 Velsheda shows her class and evens the scores on day two of the J Class Falmouth regatta. But it’s the support ashore and afloat makes this regatta equally special. Velsheda proved how age is by no means restrictive on a racecourse, with a demonstration of near perfect sailing during today’s two-hour coastal race. 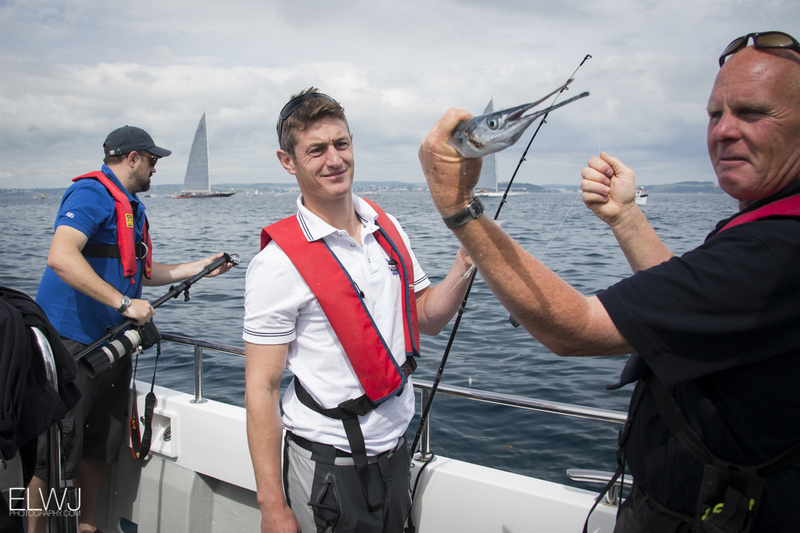 Their start was spot on, the manoeuvres slick, and the layline calls spot on – despite a shifting breeze. 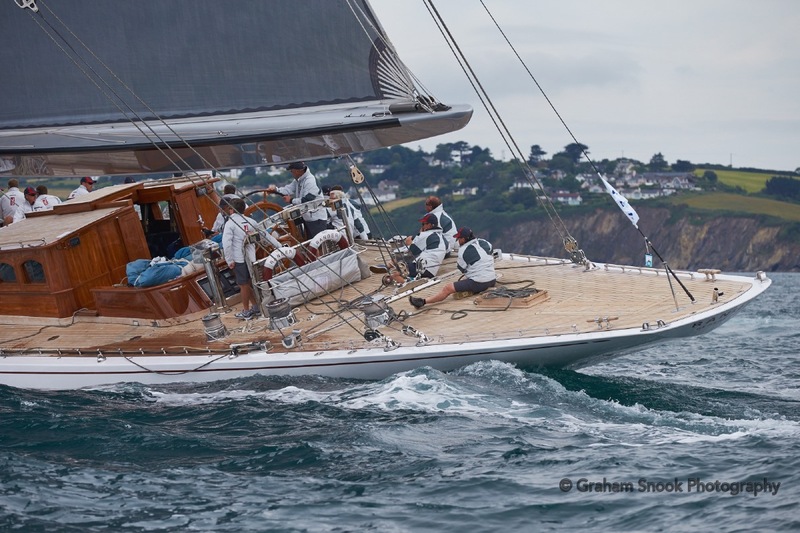 The 82-year old Velsheda won the day, and the prestigious King’s Hundred Guinea Cup – the biggest trophy of the week, and one originally presented by King George VI at the Royal Northern and Clyde Yacht Club in 1937. The result and trophy more than makes up for Velsheda’s third place yesterday and levels the scores between the three Js. 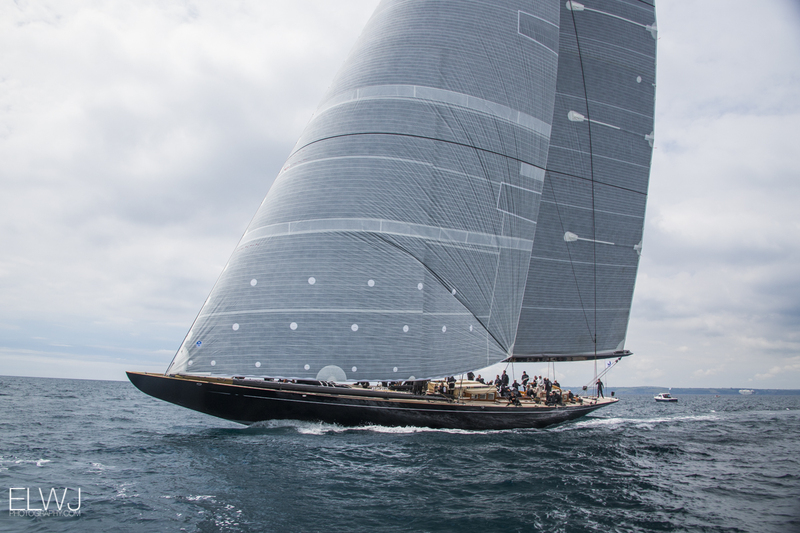 Lionheart, the newest of the three J Class here meanwhile, showed how despite all the preparation – including a recent seven month refit at Pendennis Shipyard, and having top a tactician and navigator aboard – it’s a simple mistake like being over the line early that can still ruin a race. No doubt she will bounce back strongly – this powerful Hoek design, a replica of a Ranger design never built, certainly seems to have speed to burn. 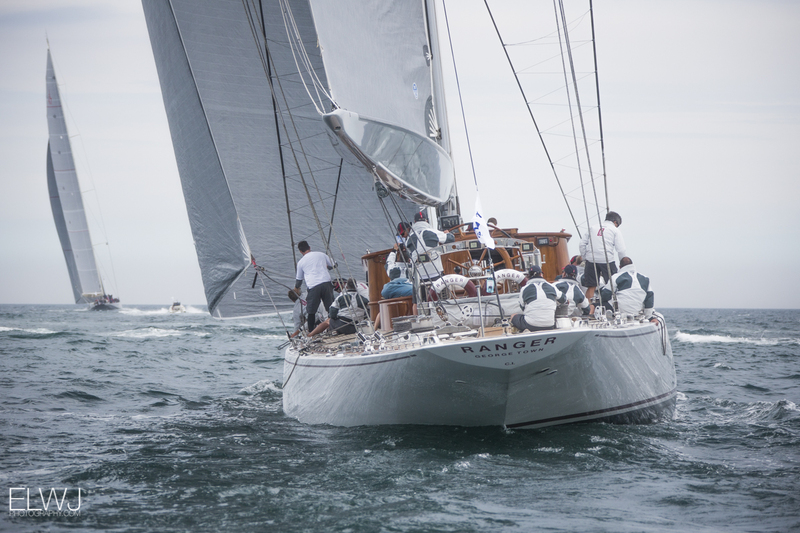 Ranger also looked consistently quick despite the light, 10-knot shifty conditions. Ranger is the heaviest J, and will be relishing the forecasted build in wind strength over the next couple of days. 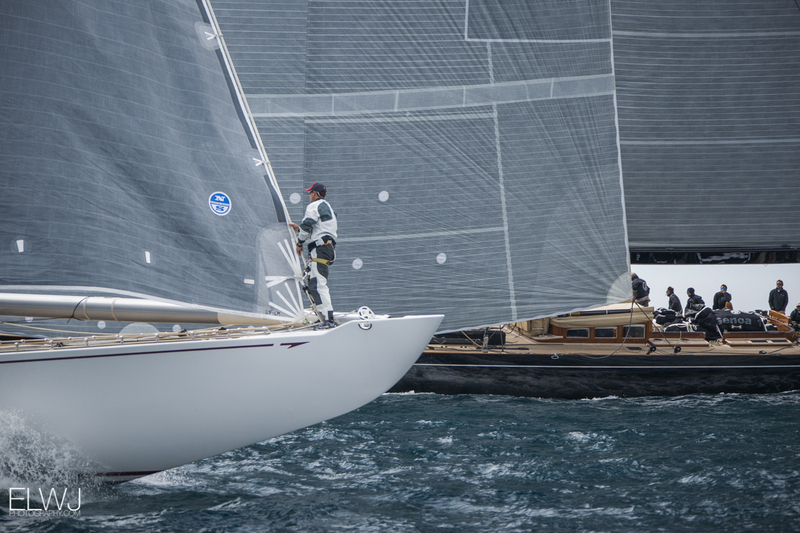 During the build-up, postponement and racing itself, it is the fanfare that surrounds a J Class regatta that is also entertaining. 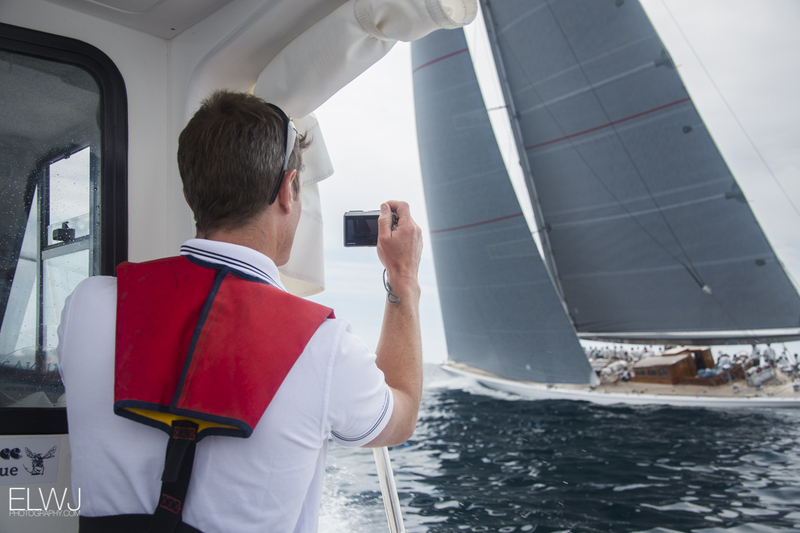 There is always an eclectic mix of craft following these showpiece yachts. I was on a press boat full to the gunwhales of photographers armed with long lenses. The Js each tend to have a chase boat with photographers aboard. Then there are the committee boats, mark layers, marshals and even an on-water umpire. Today a local tripper boat brought 40 disadvantaged children out from local schools and charities. And it is the spectator fleet in general here that is making an impression. 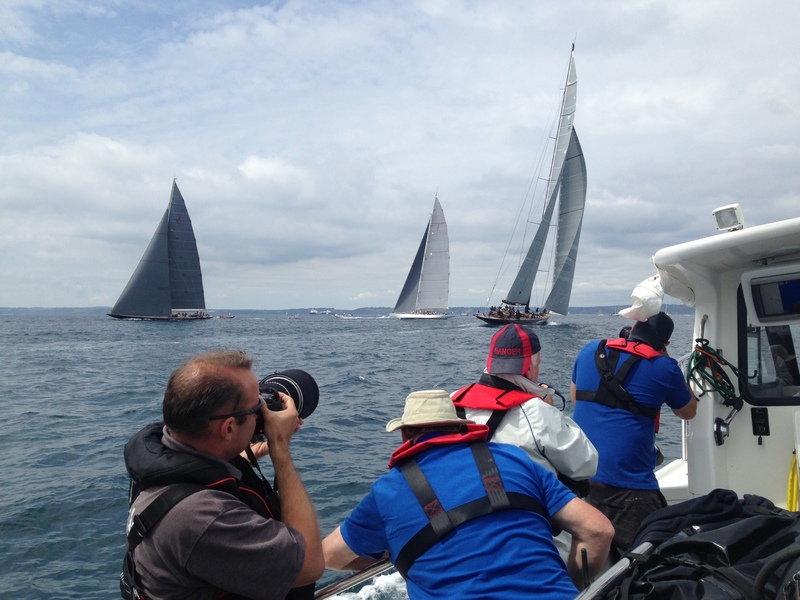 It is midweek in June, yet there are a huge variety of vessels out to see the Js race, from traditional workboats and gaffers, to dinghies and cruising yachts. 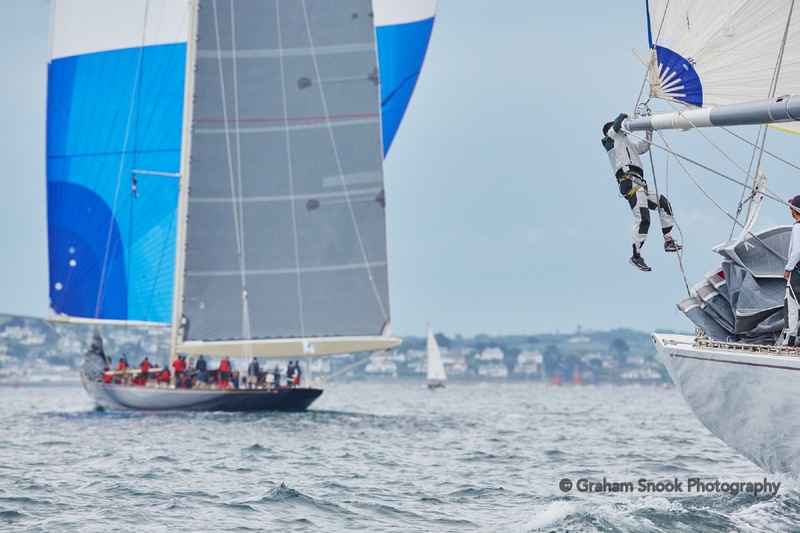 Of note is that they all sail between the marks to catch the action – Falmouth really is a sailor’s home. 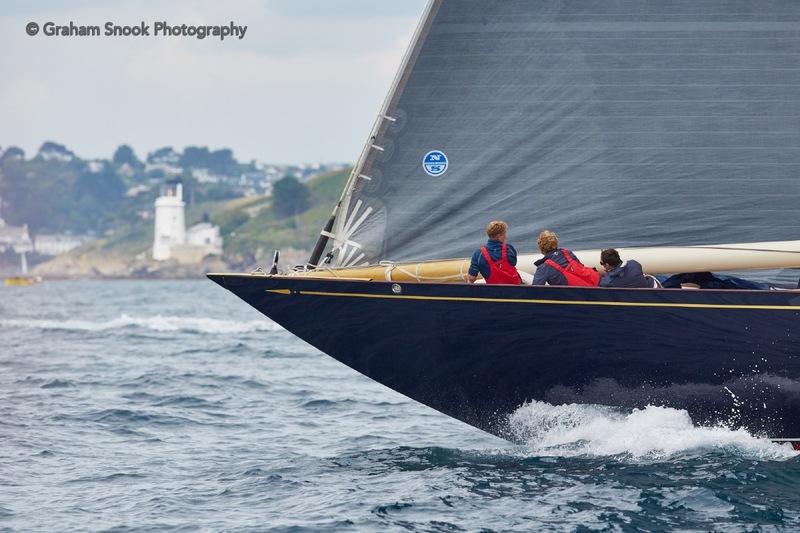 The Royal Cornwall YC and J Class Association recognise how much it means to the local community. 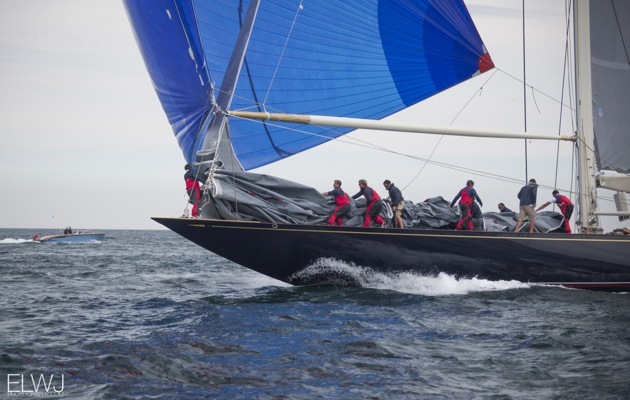 They deliberately set a course today that came as close to Gyllyngvase beach as was safely possible – giving the spectators ashore prime viewing. 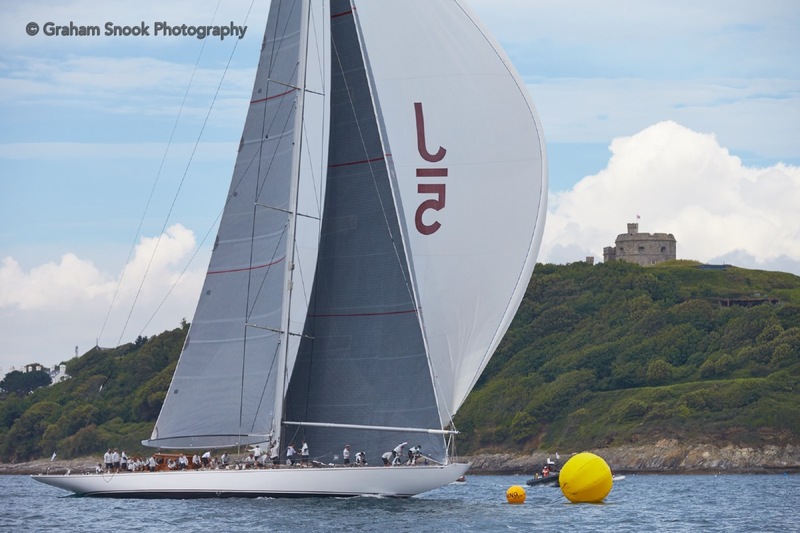 And following the finish, Velsheda, Ranger and Lionheart each did a flyby past Pendennis Point for the benefit of the crowds before dropping sails. 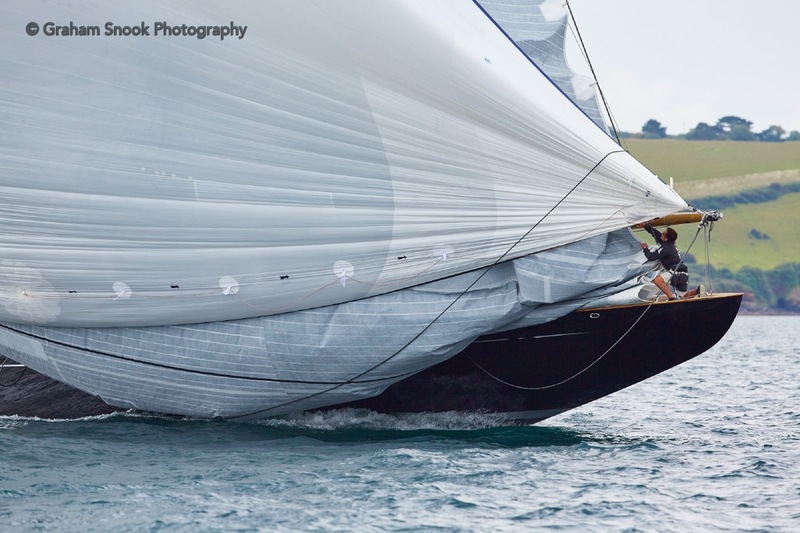 The sailing spirit in Falmouth this week is reinvigorating.